Is there a quick method to convert a low v bar to a high v? As i've been riding Naish bars for years but recently purchased a North kite I was wondering if there is a quick and easy way to convert a low-v bar to a high-v bar without needing to splice new lines? Re: Is there a quick method to convert a low v bar to a high v? You can also ride your North with low V. You may like it. If not, you better do some splicing but only easy. take 30cm kiteline and make loop (which is large enough to add/remove a small SSl ring later) over 1 frontline (to which the safety is NOT attached) at 5m height then splice both ends (12 CM both sides in the fluing line, add small lock sewing at the loop at both sides. Now to the loop you can add/remove a small SS ring and put the other frontline through this and you have 5m high split. To avoid abbresion you could add some protection on the frontline that is guided through the ring. Standard 4 line bar into adjustable Y bar. Place on the front line that does" NOT " flag out. Screw stopper on front line at desired height. Slide ring 'from tpp' over both front lines, down to stopper. 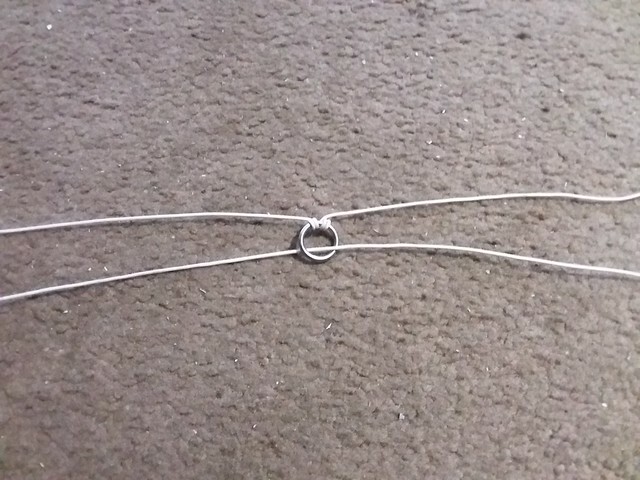 Tie ring with rubber band to the line on top of stopper ball. When the kite is powered up, it wants to pull the lines apart - the ball stops the ring from dropping lower.. The rubber band is simple and lets you slide up or down if needed and grippy enough to stay in place. Replace the rubber band after a few months - simple. Your flag out line works as normal. If used with longer than standard lines, adjust the height so it keeps the correct shape of the kite. I use it on my high Y Core Xr5 kite and slide one line out - for my Epic Screamers. A bonus is that you can adjust slightly for higher for stronger winds to reduce flaring. It will turn a little faster ' at the lose of some wind range. Most kites get Ugly when over powered so holding the leading edge more stable, can be a good thing - to a point, obviously. good info, what kind of protection can you add? heat shrink? ^ You don't need to do that. Also, I briefly owned and sold a North Click bar and the bar came with a little device for the center lines to switch between high and low V.